THE LANDING, A Walk Anywhere Community just steps to shopping, eateries, parks & trails! Upgraded features come standard: Quartz counters, under-cabinet lighting, KitchenAid, A/C, BIG 2 car garage (please compare), wrought-iron railings, en suite bathroom in 2nd bedroom, sleek hardwoods & private covered deck. This 2 Bedroom + Den, west facing “Scout” features floor to ceiling windows for maximum natural light. Wide open Great Room w/gorgeous center island. High Walk Score + Top Rated Schools. 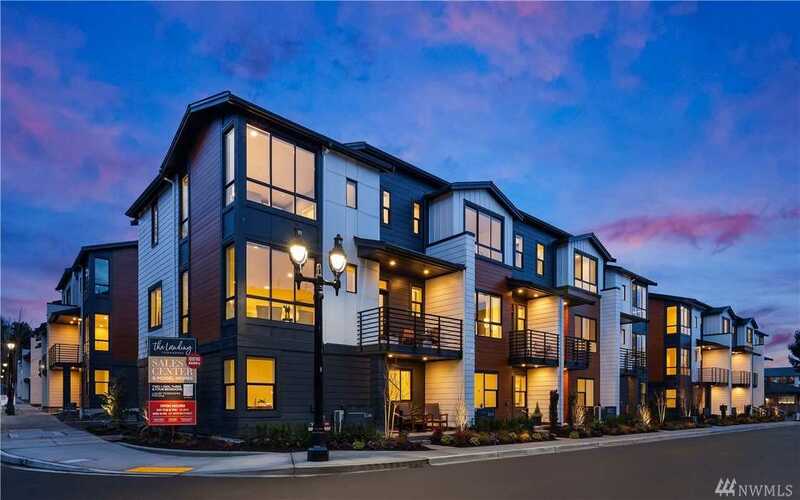 Directions: I-405 exit WA-522 (Exit 23) then west on Woodinville Drive, right on 98th Ave NE, left on NE 182nd St, right on 96th Ave NE to our furnished model homes (units 1 and 2) at NE 183rd and 96th Ave NE.